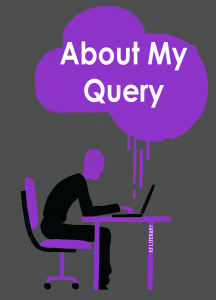 This week, it’s Hannah’s turn for an About My Query! I am seeking representation for my middle grade science fiction manuscript, GABEN AND THE EARTH’S VENOM, complete at 51,000 words. Given your interest in science fiction, I thought it might capture your interest. <– I’m usually against paragraphs like this because they take up valuable space and don’t further your query – I generally assume that if you’re querying me with a book in a genre I represent, you’ve done your research. You don’t need to tell me that you did. You can begin the whole email with your next paragraph. Eleven-year-old Gaben, one of the gray-skinned inhabitants of planet Harte, stumbles through life with brains and recklessness. <– I’m a bit confused by this line. If you’re trying to say he’s smart and reckless, then I would rephrase – clarity is the goal, especially in a query. He shamed medical healers by finding the cure to a fatal disease infecting many hartians, <– Again, confusing – shouldn’t this be a celebrated discovery? Also, capitalize proper nouns but there isn’t enough of the antidote. Gaben’s mother, a research astronomer, flies on a spaceship with other scientists to their twin planet, Earth, to collect the needed snake venom. Gaben curiously wanders into the cargo hold and accidentally becomes a stowaway. On Earth, Gaben follows his mother off the spaceship invisibly <– invisibly? How? This is sort of tossed in there, but I don’t know enough about your world to understand how this could be possible. and then it relocates to a different part of the planet.<– on purpose, or is this an unexpected event? Luke, a fifteen-year-old human boy discovers Gaben and his mother. Intrigued, Luke keeps their existence a secret, hiding them in his attic. <– This caught me off guard because I assumed his mother was there in an official capacity, that Earth knew she would be there Gaben’s mother gathers rattlesnakes for transport. Since Gaben’s ability to disappear isn’t fully developed, he might be seen by Luke’s next door neighbor—he’s an FBI agent. If the FBI finds Gaben, he and his mother could be held captive for experimentation <–why? You haven’t established that people on Earth don’t know about the Hartians and never return to planet Harte to save his dying grandfather. <– this is the first time you’ve mentioned the dying grandfather. But if this is motivation for Gaben to return home, we need it much, much earlier. Knowing what your character’s motivation to get through the conflict is early on helps unify your summary. I have also written a prequel, VENOM FOR PLANET HARTE, about the disease’s origin, how Gaben found the cure, and what he did to save his dying father. VENOM FOR PLANET HARTE is complete at 35,000 words. I am a SCBWI member.<– Here is where you tell me genre and category. If you found us somewhere other than the KT Lit website, it might be good to mention where. Did you read a great interview with her where you read she was looking for a specific type of MG SF story? Cite that here. There are a lot of elements here that sound very interesting! A kid with a penchant for science is always fun, as is science fiction. My biggest problem, though, is that I’m not entirely sure how the elements of this query fit together to make a larger story. What is the inciting incident? Meaning, what is the event/action that puts Gaben on the spaceship and launches him into this journey? I also need a better sense of the overarching conflict and what’s at stake for Gaben. Is it that people back on Harte are dying without a cure? Or that if Earth people find them they’ll expose their whole planet to experimentation/colonization? Or is it that Gaben might not return before his grandfather dies? What drives him throughout the book? The answers to these questions could be helped by adding some background we don’t currently have. For example, I, personally, assumed Earth must know because the Hartians were going there in a ship that I assumed Earth people would see – but then the FBI agent is introduced, along with the idea that the Hartians might be exposed and then captured by Earth people. Not having been told this was a danger, I was taken by surprise. This is the same with Gaben’s invisibility – has he always been able to do that? If it’s part of him, what does it have to do with the rest of the story? How does it tie in/why is it important? To sum up: I’d like to see an inciting incident, followed by more clarity on the background and what the overarching conflict is, and the personal stakes for Gaben. I want to know about the action, and I then want to know why that action was taken. Gaben wandered onto a ship? Then tell me what the purpose is. Gaben becomes invisible? Tell me why this matters to the story. An FBI might find them? Give me an indication earlier why this might be a problem. Tell me that going to Earth is dangerous because it could expose their race, and that they’re taking the risk because the pros of saving their planet outweigh the cons. It was really useful to learn how you broke the query down.